Below are some of the most beautiful, feature-rich and unique themes perfect to showcase photographer’s top works in a way that captures the essence. Present the artistic as well as the professional side of your photography with these modern themes that can easily be adapted to any needs going above and beyond, as well to make the websites you develop stand out of the crowd. 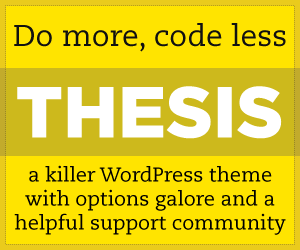 Highend is an ultimate Multi-purpose WordPress theme with a bunch of possibilities. It was crafted using the powerful Drag & Drop page builder to easily create pages on the front-end of your websites. The theme is packed with features to meet any needs: Fully Responsive and Retina optimized, Woocommerce support to help you selling anything online, Pre-built Demo templates are ready to use for your websites to present your business with style, One-page scroll and Multi-page sites design. Highend is compatible with bbPress plugin, and live color customizer, unlimited header layouts, beautiful custom widgets, advanced Blog, portfolio and gallery, much more features that are definitely perfect to your modern and professional website. Contrast is a responsive full screen photography & portfolio WordPress theme. It’s perfect for all creatives, artists, photographers and agencies. Give your work the best exposure possible thanks to the unique fullscreen layout you can showcase your artworks in an amazing way. Contrast comes with seven easy to use gallery variations and It is meant to be a design for a perfect WordPress Theme. Choose your style and create your unique project.